Dorothy, the first born daughter of John Theodore and Gertrude Elizabeth Freeman, was born on January 13, 1930, in Oregon City at the Hutchison Hospital. Upon leaving the hospital, she spent a couple of weeks with Gertrude’s family at the John H. Griffiths’ farm, near Carus. A heavy snow blanketed the area that month and Gertie had the mumps. Her father, Ted, had just been offered a job in Medford, and the family moved there when Gertie and Dorothy were able to travel. About eight months later, the family moved again to Multnomah, a suburb in southwest Portland, when her parents bought a service station business. When Dorothy was about 18 months old, a second daughter, Joann Elizabeth, joined the family in August of 1931. Times were difficult as the Great Depression had started, and her parents worked hard with Ted running the business and Gertie doing the bookkeeping as well as caring for the two girls. In 1935 Ted gave up the service station and went to work as a salesman for West Bearing in Portland. Dorothy was a very pretty child with jet black hair, blue eyes, fair skin and a happy disposition. She was very bright, learned quickly and soon became the darling of her grandparents and aunts. She was the first born grandchild for both sides of her family. She readily took on the role of “big sister” to Joann and soon the two little girls with black bobbed hair and blue eyes who often dressed alike had many friends in the little community where they lived. In January of 1935 Dorothy began her schooling in the Kindergarten at Multnomah Grade School. She was an enthusiastic student who was soon reading well and taking part in many activities beginning a life-long interest in learning. She started taking violin lessons during this time. In September of 1936, Emily Hannah, was born and Dorothy again became a loving “big sister”. In the spring of 1940, when Dorothy was 10 years old and in the fifth grade, the family moved to a farm south of Salem where her father operated a walnut and filbert orchard. This was quite a “culture shock” as she transferred to a one-room country school in Prospect. The family soon had a large garden and a cow, goats, pigs, chickens, rabbits, a dog and cats. Dorothy adapted well to the change, and she and Joann walked to and from school each day on a lonely country road. She did well in the small school and soon had many projects which she shared with the other children. She also continued playing the violin and though she didn’t have formal lessons, her father worked with her and her skills continued to improve. The 1941-42 school year was again a time of change with the sixth grade spent at schools in Prospect, Liberty and Donald. Her Grandfather Freeman died in December of 1941, and the family moved briefly to the town of Liberty and then to the Champoeg farm of her grandfather. Here her father raised hops and flax as well as working a contract with canneries in Salem to fill silos with the corn off-fall. She spent her seventh and eighth grades at Butteville School and moved again when the family bought a farm near Molalla in the summer of 1944. 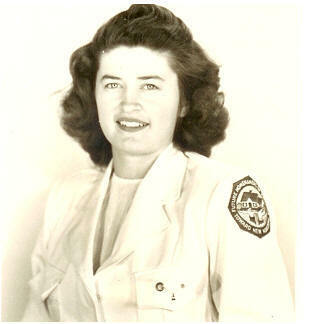 Dorothy started at Molalla High in the fall of that year and graduated with the class of 1948. For Dorothy, High School years were very busy. She was a 4 year Honor Roll Student and was involved in many school activities such as the school Orchestra, Junior Red Cross, Girls Athletic Assn. (GAA), Future Homemakers of America (FHA), Editor of the school newspaper (The War Whoop), member of the Annual (Arrow) staff, majorette for the band and a member of the camera club. She was also taking private violin lessons during this time. Her junior year she was state president of the FHA and this entailed traveling to many high schools in Oregon. In her senior year she was National Vice President of the FHA and traveled by bus, train and plane to Sun Valley, Idaho; Kansas City, Missouri; and a number of other High Schools in the area. She was active in her church youth group and 4H Club exhibiting in sewing, cooking, canning and style review. Summers during upper elementary and High School were spent like many young people of that era, picking berries, beans, hops and cutting teasels. She also worked a summer or two at the Birds Eye Frozen food plant in Woodburn where she moved quickly off the production line into Quality Control. She also worked one summer sewing for Maritsa Widstrand, the wife of her father’s cousin, at her custom dress shop in Portland. In the winter of her junior year she first met the “Love of her Life” Russell Yoder one Sunday at Smyrna Church when he was home on leave from service in the Seabees. There was much interest on both sides, but courting did not start until Russell was discharged and he moved back to Yoder and was working at the Yoder Mill. 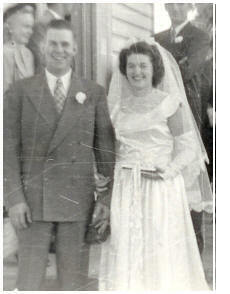 In the spring of 1948, their engagement was announced and the marriage took place in August of that year. The couple took a 3,000 mile touring honeymoon to Salt Lake City, Bryce Canyon, Grand Canyon and points in between. Upon their return to Yoder, they set up their household in a house that stood where their home was later built. Dorothy took on the role of a wife and homemaker with as much enthusiasm as she had done with her previous activities. She embraced her new family, Russell’s work and was active in church and community life. 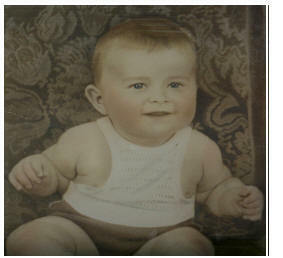 In May of 1949 she gave birth to her first child, Judith. James was born in August of 1952, Mary in March of 1955, Vernon in July of 1957, Beverly in December of 1960 and David in June of 1964. Her children were a high priority in her life. She was a devoted mother, active in each of her children’s interests and treated them all equally. She was devoted to her eleven grandchildren and two great-grandchildren, following all of their activities as closely as she could until her health prevented that. Dorothy was a wonderful cook, liked to sew making many of the family clothes and canned and froze goods from their garden. She was an active 4H leader teaching many of the children in the community to sew, cook and preserve, continuing her activities with 4H until her health made this impossible. She was an accomplished judge of sewing, cooking and preserving and applied this skill at many of the County Fairs in the state. She was a woman of God as an active member of her church, Smyrna UCC, since she first joined in 1945. She taught in the Sunday school, served on many committees and was active in the women’s groups of the church. She was a member of Rural Dell Extension (FCE). Over a period of 33 years, she was an active parent while her children attended Rural Dell School and Molalla High School. In 1975, she went to work for the Rural Dell School District as the District Clerk and continued in this position until 1996 when she retired from Molalla River School District. During this period she made many friends of the students, parents and faculty of the school. 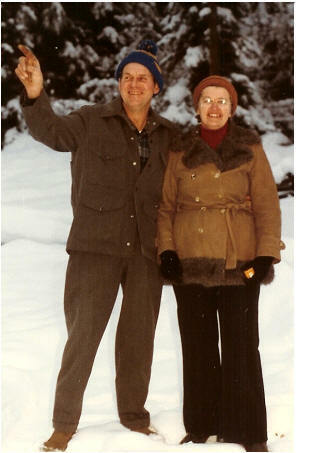 Dorothy loved to travel and so did her husband. One of her favorite places to go was the Oregon Coast where she often went with Russell, her children, family and friends. She took numerous camping trips with her family. Major vacations included an adventure on the Alaska Highway in 1962, and a train trip to Detroit via Canada with a return to Oregon in their new station wagon. She traveled to Hawaii, Washington D.C., California, Tennessee, Texas and many other places. In 1980, she took a trip with her father, mother and two sisters to visit family in Sweden and Wales. She accompanied her husband to the Aleutian Islands and Okinawa to visit the bases where he was stationed in World War II. Over the years, Dorothy and her family hosted several exchange students from various parts of the world., and she had some long term pen pals from various places. Dorothy was a avid photographer and took many still photos as well as videos and left a rich legacy of her family’s history. She was church photographer for several years . The last 11 years of her life have been a valiant battle with Parkinson’s disease complicated by cancer and a broken hip. She was able to overcome the cancer and fractured hip, but the Parkinson’s was persistent and finally took her life on May 7th. In February of this year her husband of 57 years suffered a severe stroke and died due to complications soon after. Dorothy started her life greatly loved and with a wonderful willing spirit. She had a remarkable life which she lived to the fullest. We will all miss her, but now it is time for her to be at peace. She is with Russell and those she loved who have gone on ahead. Please be seated for the Postlude while the family leaves the sanctuary.